Founded in 2013 with support from the Province of Nova Scotia and headquartered at the Faculty of Computer Science, The Institute for Big Data Analytics has become an international hub of excellence in big data research. Over the last five years, the Institute for Big Data Analytics has supported industry in using big data to make an impact, and trained the next generation of researchers and practitioners to advance this area of innovation. To acknowledge this five-year milestone, the Institute for Big Data Analytics hosted a day of events on Friday November 23rd to not only look back on the progress made and look ahead to the next five years, but also to discuss the future of big data and the opportunities and challenges we face as a society. The day kicked off with an anniversary celebration and research showcase opened by Dr. Alice Aiken, Vice-President Research and Innovation at Dalhousie. “Work coming out of the institute has not only supported more than 30 industry partners, which we all understand is a critical role universities are playing now, but it’s also trained the next generation of researchers. I was told that there are over forty graduate thesis students working out of the institute. I mean, that’s really impressive and also why we are here,” opened Dr. Aiken. As Dr. Aiken noted, “Big data is not only a priority for the Faculty of Computer Science but for Dalhousie University.” Outlining the focus of Dalhousie’s new research and innovation strategic direction, Dr. Aiken highlighted the role big data plays as one of two cross-cutting themes enveloping the university’s five priority research clusters. 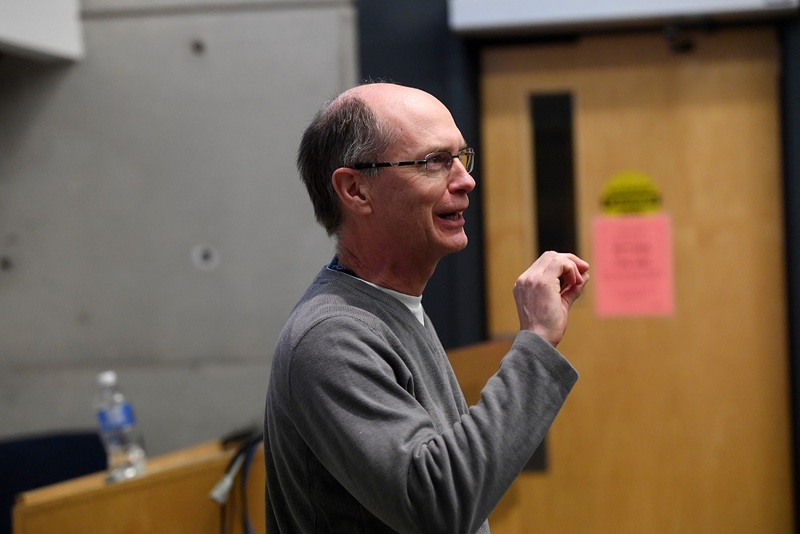 Dr. Stan Matwin, Director of the Institute for Big Data Analytics, echoed Dr. Aiken’s words as he took to the floor to reflect on the Institute’s first five years and look ahead to the future. 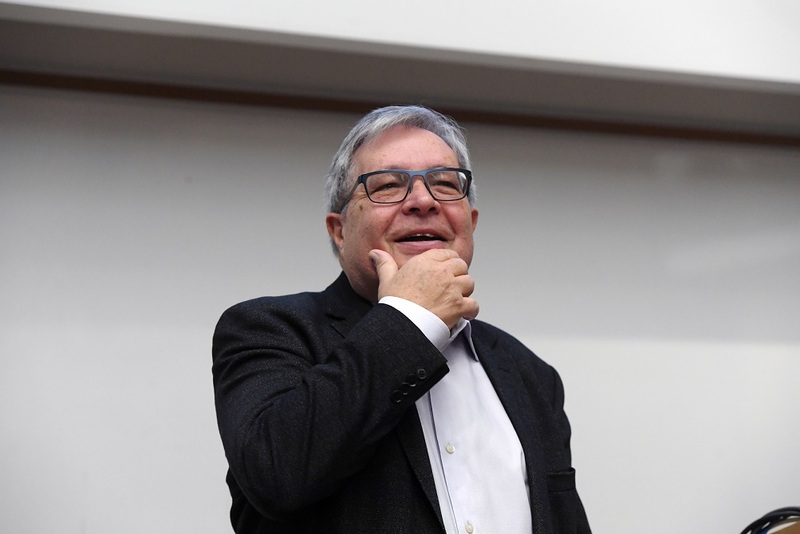 When reflecting on his highlights from the past five years, Dr. Matwin noted the relationships made within the Institute for Big Data Analytics and beyond. Dr. Matwin concluded with the message that the Institute for Big Data Analytics is “all about partnerships” before welcoming to the stage Anthony Isenor from Defence R&D Canada (DRDC) Atlantic Research Centre, part of the Department of National Defence, to say a few words about their ongoing partnership with the Institute. The DRDC Atlantic Research Centre in Dartmouth deals with research and development in areas including underwater sensing, platforms and maritime information for bodies including the Royal Canadian Navy. From this proposal the Mission-relevant Information Management for Integrated Response (MIMIR) was born two years ago. “Students and postdocs are producing papers on things like trajectory analysis, linked open data, semantics, and augmented reality, and most recently in alerting using real-time information,” said Isenor. Following the formal portion of the morning’s event, guests had a chance to explore the work taking place in the Institute for Big Data Analytics with a research showcase featuring a student poster session. 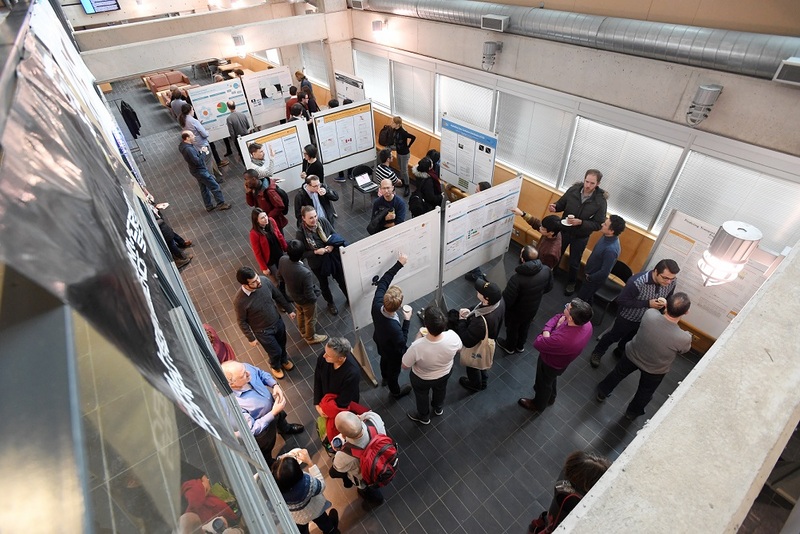 Posters covered topics including big data education for Mi’kmaq children in Nova Scotia, classifying whale species using deep learning, and AI-based applications for diagnosing glaucoma – a snippet of the projects and research themes coming out of the Institute. Anniversary celebrations continued with two public events discussing big data research, opportunities and the future. Both events featured insight from Dr. Fosca Giannotti, Director of Research at the Information Science and Technology Institute “A. Faedo” of the National Research Council, Pisa, Italy. Dr. Matwin and Dr. Giannotti were joined by Dr. Darren Abramson from the Department of Philosophy at Dalhousie for a lively panel discussion exploring what we can do to reap the benefits and successes of AI while avoiding the risks. To create knowledge and expertise in the field of Big Data Analytics by facilitating fundamental, interdisciplinary and collaborative research, advanced applications, advanced training and partnerships with industry. Copyright © 2013, Institute for Big Data Analytics.